What You Can Pin On Pinterest, In Simple Terms. So I signed up. It was a dream come true. It was amazing. Would this happen? I don’t know. But in this crazy crazy world, I wouldn’t be surprised. What could also happen, is that somebody else repins from my board, but changes the link. Uh-oh. And guess what, it’d be my fault. So what can I pin? My stuff. My photos/images/memes/ideas. Mine only! Or someone else’s whom I’ve asked permission from. Sounds decent right? But this will definitely decrease my pins. I probably won’t be asking permission for every image I would have pinned had asking not been required. Why? Because unless it’s really really super stellar, I won’t be waiting around for five months to get an answer. So unless I know you’ll answer soon, or the pin is truly awesome, I probably won’t pin it. I can pin things from blog posts/ sites that have a PIN THIS button. If they’re asking me to pin it, and I love their product/image/whatever I will. Having a pin it button on your site/blog/blogpost, is basically a green light for all pinners to pin your work. Nothing else. That’s it. Either it’s mine, or I have permission to pin it. That’s all, no more no less. I’m still unsure about my opinion on this. If people were pinning my images, (a few are on there and have been repinned), as long as they’re linked back to me I’m super fine with it! In fact, I’ll love it. That way Papa is a Preacher gets more traffic directly to the posts of interest helping me tune in to what’s more popular. Great. And to prevent link changes and what not, I’ll simply begin to watermark my photos. The end. Wouldn’t that work for everyone? I suppose that’s just me. Photography isn’t my livelihood. I’m not that territorial with them. I suppose that’s the difference. And I understand that. I’m just sad. That’s all. I have a total of 18 boards, and 1315 pins, and I’m going to go through them all. Deleting them, bookmarking a few, etc. and then I will leave Pinterest up only for pinning my work. Less for enjoyment, more for networking Papa is a Preacher. Because I’m tired. Tired of all this noise and threats of lawsuits. So today, I won’t blog anymore. I’ll be busy gleaning 1315 pins. What are your thoughts towards Pinterest’s? Have you ever joined? Has it become “just another networking site”? Are you making changes? Previous Article Thumbs Up. Thumbs Down. Definitely. And it makes it harder to use. But like you said, it has to be done. I've never even opened the page–probably because I'm already pretty overwhelmed keeping up with all the blogs I'm reading. Even on Facebook, I am more of a reader than a poster so both Pinterest and Twitter just seem over my head time and energy wise. And I've given credit. But apparently that's not enough anymore, we have to have permission too. And that's what makes it hardest I guess. Oh well. Rules are rules. I have nothing but Pinterest and the blog. And at times I want to delete everything, but I have stuff there I actually like and use! So..I glean instead. Thanks Larissa – makes sense but is a little sad. I try to always pin responsibly – I want to give credit! I think sometimes especially newbies forget but how about we help these people by adding source (if we know it) in the comments. 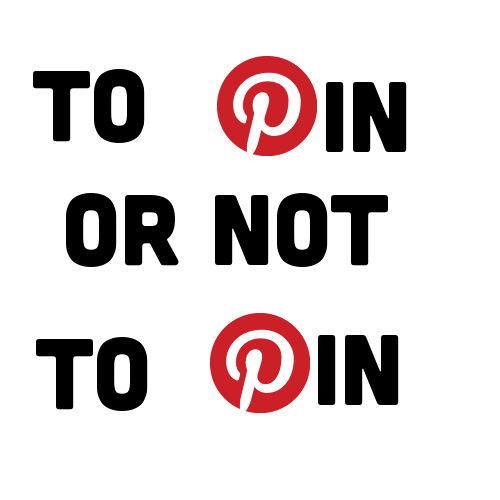 I never thought of the copyright issue of Pinterest until quite recently, and deleted my account. It simply feels useless to pin my own stuff. I already have 500px, Picasa and my blog to show off my pictures. And as for other people's stuff, I'm with you, it simply takes too much time to get permission from everyone. Thanks for accepting the button swap thing. I love reading the inspiring stories about your family that you share, and it's generally nice to read. Have a fabulous Easter! At the moment I'm actually thinking it's not lame at all! I'm actually envious. That way you don't have to go glean through everything. My daughter just asked me why I never pin anything, and I said “because I don't know how” – how lame is that? !